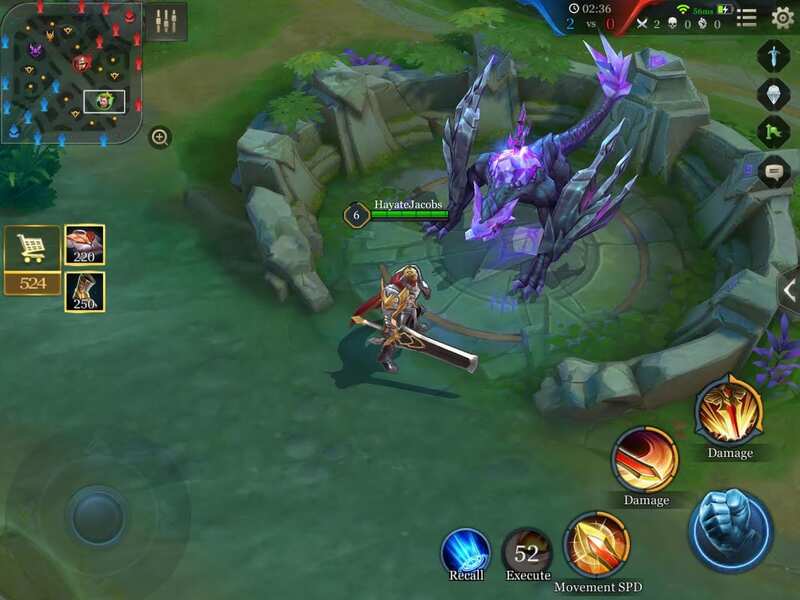 An explanation of attack patterns, stuns, and debuffs that the epic monsters in Arena of Valor have in their arsenals. Both the Dark Slayer and Abyssal Dragon have various moves that they can use when fighting players. Knowing which to fight through and which to defend can make dispatching the creatures much easier. The Abyssal Dragon and Dark Slayer are two of the most important objectives to secure on Horizon Valley. They’re exceptionally powerful and difficult to handle alone, but grant whichever team can slay them crucial rewards in return. 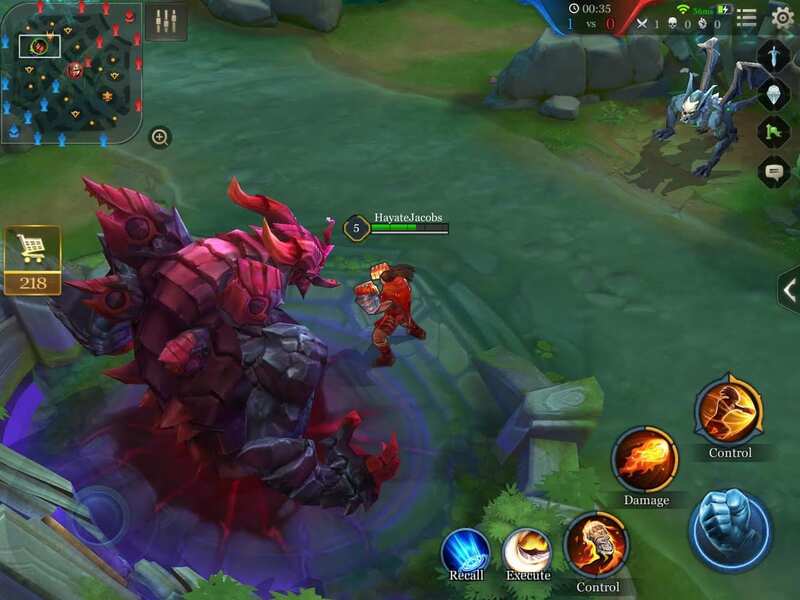 Players can receive a large team-wide buff from the Dark Slayer or a team-wide gold and experience bounty from the Abyssal Dragon. Knowing the attack patterns and damage amounts of these two epic monsters can help you determine if and how quickly you can bring them down before being caught out by the opposing team. The debuffs of the Dark Slayer in particular can throw all your well-made plans to the wind if not taken into consideration. So without further ado, let’s figure out how these beasts operate. The Abyssal Dragon has three different offensive moves. It uses them in a repetitive, predictable manner, allowing players to prepare for each as they come. The Dragon’s basic attack is just that: a single target attack with its mandibles. While lacking the flair or the additional effects of the other attacks, its damage is double the Dragon’s attack damage, or 2.0 AD. The dragon telegraphs this attack with a twitching of its back mandibles, it unable to contain the excitement of ripping into your hero’s delicious meats. The dragon’s other techniques are much more forgiving in terms of damage but have additional effects to watch out for instead. The first is a stunning attack, the beast using its large claws to smash an opponent’s tiny skull. The stun lasts for 0.5 seconds and the attack delivers 1.0 AD as damage. Last, the dragon can attack all nearby enemies with a channeled flurry of blows. It assumes a power stance before attacking, crouching down low like a majestic tiger preparing to pounce. All heroes around the dragon suffer 1.0 AD physical damage three times. The dragon repeats the moves under the line until the battle ends. The Dark Slayer is a much more dangerous foe than the Abyssal Dragon. As such, it has a much more formidable set of moves. The Dark Slayer has a set of three moves – a basic ranged attack, an area attack, and an area knock-up – similar to the Abyssal Dragon. Unlike the dragon, however, the Dark Slayer’s attacks lack a specific pattern. There are some tendencies that can be predicted, but each fight will have a different order of attacks. The basic attack consists of the Dark Slayer punching the ground, a stone rising up to slam the attacker while damaging any heroes standing within 200 units of them. This attack doubles in strength after damage calculation (2.0 AD), similar to the Abyssal Dragon’s basic attack. The similarities end there though: the Dark Slayer’s basic attacks possess a pair of severe debuffs. The first is an armor shred effect similar to Spear of Longinus. This effect stacks in intensity up to five times, tearing off 150 armor with each hit. The debuff will eventually wear off, however, even if the Dark Slayer is still attacking the same hero. Once the timer ticks down to zero, the armor shred will start again from the beginning. Playing around this debuff is important: save your defensive abilities for when your armor is lowest if you can. The second of the Dark Slayer’s debuffs halves the affected hero’s damage for five seconds. This stacks in duration, so it will keep up until a few seconds after the fight. Keep this in mind when preparing to fight the beast or if the enemy team comes to contest the kill. For the Slayer’s next attack type, the giant beast can slam the ground with both fists to send surrounding heroes flying into the air. This does double damage and incapacitates heroes for about one second. The Dark Slayer isn’t the best strategist, however, as each time heroes are knocked into the air the beast will take a moment to celebrate with a beating of its chest. Players, therefore, don’t need to worry about getting immediately destroyed while stunned. Last, the Dark Slayer can howl out into the world, the sound waves causing damage to all enemies around the beast. This lands for a devastating triple damage after calculation (3.0 AD). Save any shields or defenses for this move, as it’s the hardest to deal with. The Dark Slayer signals the strike by pulling back its head in preparation. Introduced in the 2018 Winter Wonderland update, the attacks from the Abyssal Dragon (and its enraged form) as well as the Dark Slayer will reduce the HP recovery of heroes by 50% for 5 seconds. As mentioned before, while these moves don’t follow a set routine, we were able to notice some patterns in its attacks. First, the Dark Slayer will stick solely to its basic attack if there are no enemies nearby. If attacked at a range by a marksman, it will attack purely with basic attacks. At melee range, however, things are more varied, though the Dark Slayer will still rely much more heavily on basic attacks than either of the larger moves. Basic attacks typically come in chains of two or three, the beast occasionally letting out a string of even more before resorting to the other moves. These strings most commonly end with an area scream rather than a knock up, though there are exceptions. If the Dark Slayer performs one of the bigger moves, it almost always follows it up with the other large attack. This happens either immediately after or after a single additional basic attack. All Minion, Monster, and Item Timings.